To reduce greenhouse gas emissions from a particularly polluting, but often overlooked sector, Oslo is using public procurement to take the lead in the zero-emission construction vehicle and machinery market. Oslo is now harnessing its purchasing power to spur innovation in zero-emission construction vehicles and machinery. While public procurement is commonly used by governments to encourage market development in certain sectors, this industry had received little attention in the past. Four pilot projects in Oslo, run concurrently by public and private actors, are testing the following solutions: fossil fuel-free demolition site, fossil fuel-free construction site, onsite locally produced renewable energy, and prototype electrical vehicles. The city acts as the initiator of product development and ensures solutions are deployable in larger markets. The results of the pilot projects will serve as guidelines for the public procurement of the vehicles and machinery, which will be initiated in 2018. The need for action in the area of construction vehicles and machinery to meet Oslo’s emissions reduction targets by 2020 is emphasized in the city’s Climate and Energy Strategy. Indeed, the full deployment of the project is estimated to account for 15% of the emissions reductions in the construction vehicles and machinery sub-sector. Sixty-two percent of Oslo’s greenhouse gas emissions come from transport, and more than 25% that total is attributable to construction vehicles and machinery. By initiating the development of fossil fuel-free construction equipment, the city gets closer to its goal of reducing emissions by 50% by 2020 and accelerates the growth of a new market sub-sector. Economic Companies involved in the pilot projects for zero-emission construction vehicles and machinery have already received new orders for their products. Environmental The pilot projects have the potential to cut direct emissions from construction by 400 tons of CO2. Health Decrease in noise pollution due to the use of the zero-emission construction machinery has been an important feedback from the rollout. This will benefit workers and neighboring communities. Oslo is the capital and the most populous city in Norway. It constitutes both a county and a municipality. 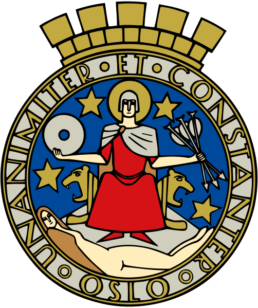 Oslo is the economic and governmental centre of Norway. The city is also a hub of Norwegian trade, banking, industry and shipping. It is an important centre for maritime industries and maritime trade in Europe. Oslo is considered a global city and ranked “Beta World City” in studies carried out by the Globalization and World Cities Study Group and Network in 2008. It was ranked number one in terms of quality of life among European large cities in the European Cities of the Future 2012 report by fDi magazine. A survey conducted by ECA International in 2011 placed Oslo as the second most expensive city in the world for living expenses after Tokyo.